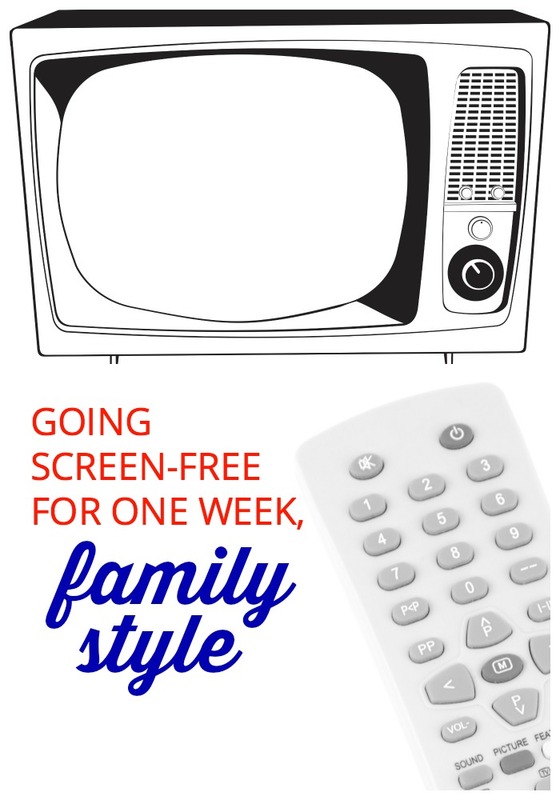 Last week, my family and I observed Screen-Free Week as a social experiment of sorts. Surprisingly enough (to me), it was almost entirely painless. Though I have been a TV-head most of my life (hello, I sat on my mother’s lap watching All My Children as a preschooler! ), I discovered that a TV-free home felt just fine. In the morning, instead of watching Good Morning America while slurping coffee, we sat at the dining room table or perhaps in front of our computers (I know, not really an improvement) during breakfast. At dinner, Cassie joined us in her highchair at the table (as opposed to us feeding her first, then putting her in the Exersaucer while we chowed in front of the TV). We all ate dinner together and talked. What a concept! In the early evenings, we played with Cassie in the living room or her bedroom. When her eyeballs aren’t totally mesmerized by the pretty moving pictures on the screen, she’s quite the engaging charmer. And fast! That girl can move. After she went to bed, we hung out, read, or did our various computerizing. Not exactly “active,” but at least more social and productive than vegging on the couch. I even stayed true to Screen-Free Week while on a business trip in New York City. Truth is, I didn’t have much time for TV. But still! I did it. That counts for something. Of course, we caved by Saturday night and watched the Lost episode we missed (man, it was good!). But since then, we’ve hardly watched any TV. Maybe a couple of hours or so. Much less than usual. It feels so good (and guilt-free) to dine together at the table, and just talk and play as a family. I foresee a lot more “no TV” days for us in the future. And hopefully, almost none for our baby girl. Well done! I am inspired by your resistance to the TV…if only I could be so strong! And if I didn’t work in TV, then I’d turn it off all together, no problem. Nowadays, it’s really just on for background noise. Congrats on going a week TV free! Good for you Susan! We tried no-TV nights for awhile. It was nice, but before long the TV was on again. I’m inspired to start turning it off again.